This is a flat polished black tungsten carbide ring with the awesome detaile ATAT walking around the entire ring. The legs of the ATAT are alternating! 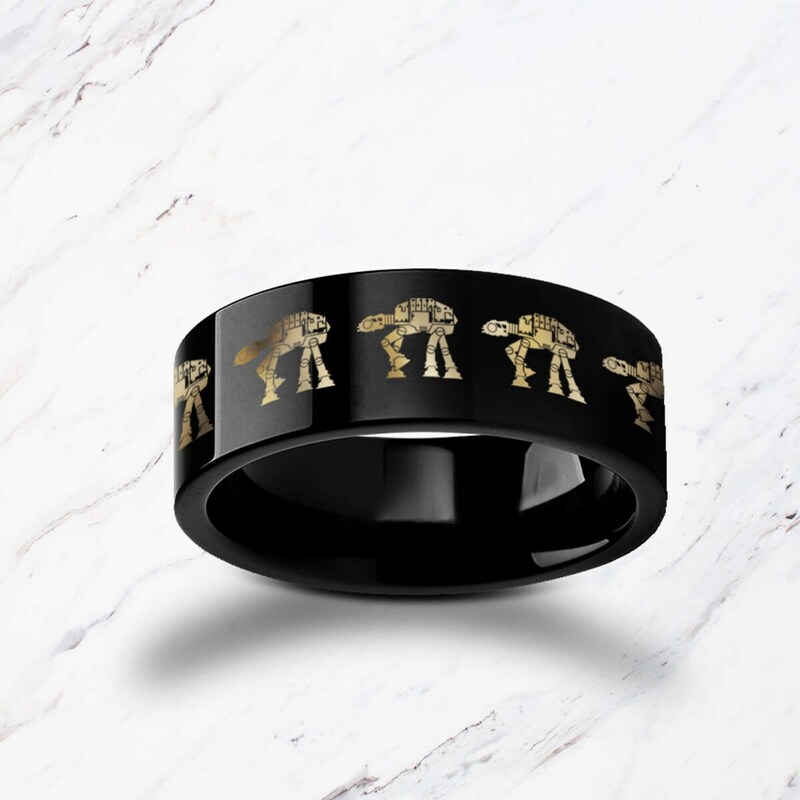 This is the perfect ring for fans of Star Wars.